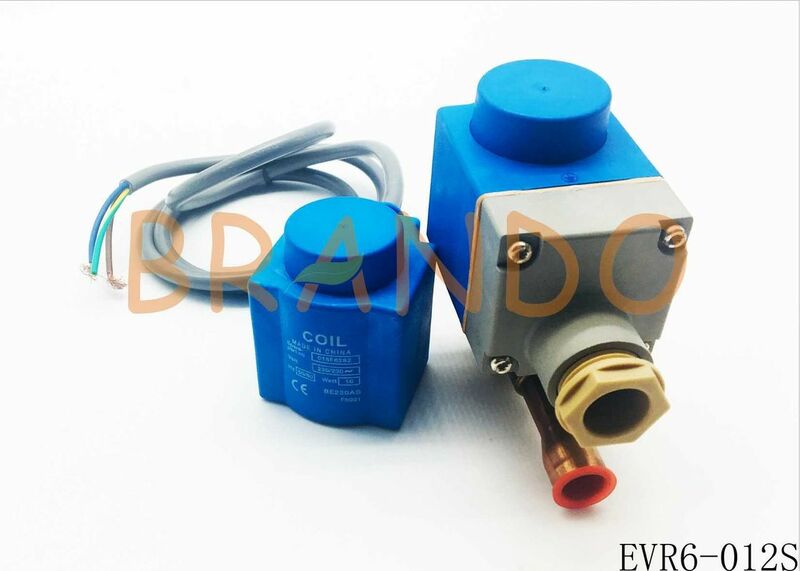 Model EVR6-012S is a direct-operated solenoid valve, when the iron core component moves upwards by the magnetic fore of the solenoid coil, the solenoid valve will open directly, that is, the solenoid valve could be operated under zero pressure differential. The sealing valve core (modified PTFE) is directly mounted on the iron core component. The inlet pressure is applied onto the iron core from the upper side. Therefore, the joint action of the inlet pressure, spring force and the self-gravity of the iron core component will close the valve when the solenoid is not energized. Our plunger solenoid valve are direct or servo operated solenoid valve for liquid, suction, and hot gas lines with fluorinated refrigerants. 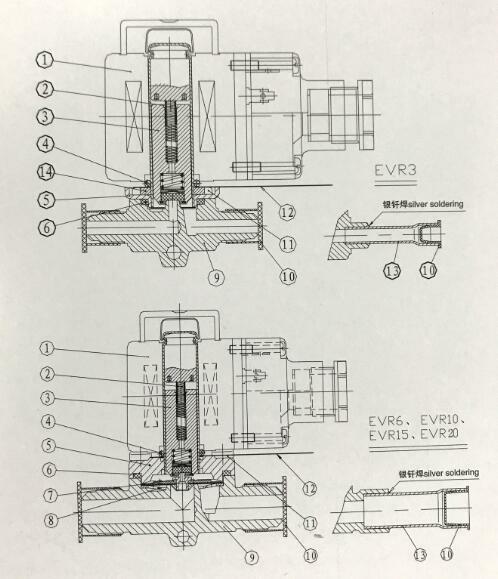 EVR plunger solenoid valve are supplied complete or as seprate components, i.e. valve body, coil and flanges, if required, can be ordered seprately. Welcome your enquiry, we will response at once. If you only need repair parts, we also can supply.